← Win a Copy of Walking Jane Austen’s London! Wednesday the Princes Augusta of Salms, daughter of the Duchess of Cumberland, arrived at Cumberland House from the continent. 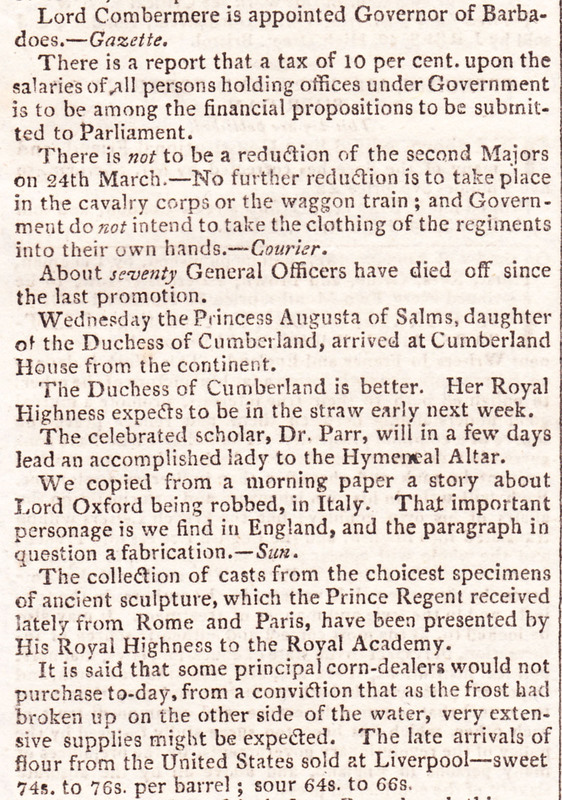 The information about the Duchess of Cumberland was in amongst a very mixed bag of news! The Duchess of Cumberland is better. Her Royal Highness expects to be in the straw early next week. “To be in the straw”, Grose’s Index to the Vulgar Tongue (1785) informs me is, “to be in childbed.” Is anyone else as amazed as I was to see a respectable newspaper using slang about such a subject? I would have thought they would say, the duchess “expects to be confined early next week.” Or has anyone come across the use of this phrase in a “respectable” context? I was intrigued enough to find out more about the Duchess of Cumberland and what happened. Even more intriguing was the discovery that she might well not have become the Duchess of Cumberland, for she had very nearly married another prince – the Duke of Cambridge! Princess Frederica of Mecklenberg-Strelitz was born in 1778, the niece of Queen Charlotte, wife of George III. She was therefore the first cousin of the numerous British royal offspring, including Prince George, later Prince Regent and King George IV. Frederica’s married life was, to put it mildly, eventful. First, when she was only fifteen, she married Prince Louis, younger son of King Frederick William II of Prussia, but it was an unhappy match and he died in 1796 leaving her, at the age of eighteen, the mother of two children, Prince Frederick and Princess Frederica. A year later she met and became unofficially engaged to Prince Adolphus, Duke of Cambridge, King George III’s seventh son. But to marry they needed the king’s permission and the queen, Frederica’s aunt, was adamantly opposed to the match and persuaded the king to refuse his consent. The next year, Frederica became pregnant during an affair with Prince Frederick William of Solms-Braunfels who married her rapidly to prevent the scandal becoming any worse. It was another unhappy marriage, despite the birth of seven children, for Prince Frederick was dissipated and a heavy drinker. Three of the children lived to marriageable age and it was one of those, the Princess Augusta, who was mentioned (her title misspelt) in the Journal report. Things were so bad between the couple that Frederica was advised to divorce, a remedy supported by the King of Prussia. It was at that point, in 1813, that she met Prince Ernest Augustus, Duke of Cumberland, and fifth son of King George III, who was visiting one of his German relatives. The couple fell in love and, very conveniently, Frederica’s husband died, creating rumours that she had poisoned him. Frederica and Ernest married in Germany two years later and again at a second ceremony at Carlton House, the Prince Regent’s London home, on 29th August 1815. The king and Parliament gave their consent, but Queen Charlotte was still strongly opposed to the match, refused to attend the wedding and advised the couple to live on the continent as much as possible. 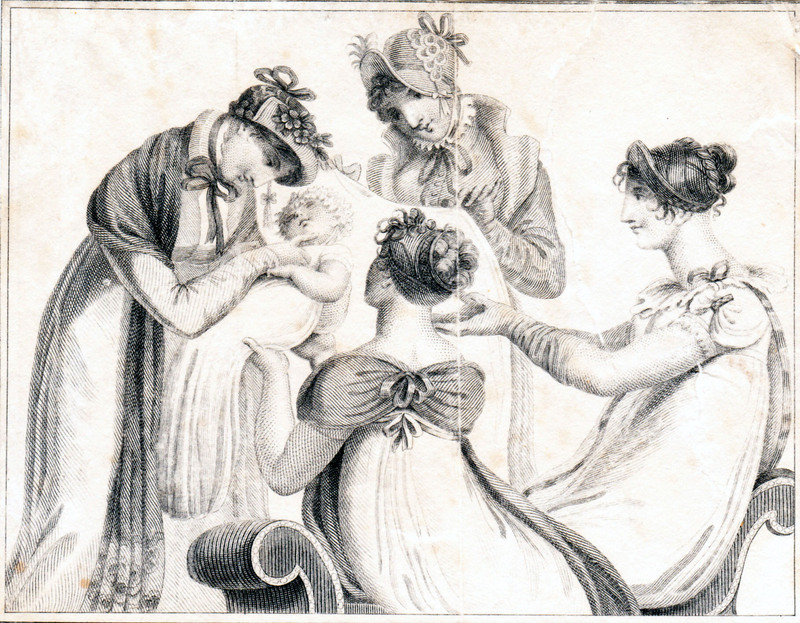 The pregnancy that the Journal comments on was the first of this marriage, but tragically the baby, a girl, was stillborn. After a further stillbirth a son, Prince George, was born to the couple in 1819. At the time of the newspaper report the expected birth of a child to the king’s fifth son was not of any great significance in the eyes of the public. The heir, the Prince Regent, had a very popular and healthy daughter, Princess Charlotte, and the Duke of Cumberland had three other brothers between himself and the throne. But as it turned out the unfortunate Charlotte died in childbirth in 1817 and there was a rush for the royal dukes to marry and produce heirs. Prince Frederick, the second son, died childless. The third succeeded George IV as William IV, but he had no legitimate children and it was the daughter of the fourth son, Edward, Duke of Kent, who became Queen Victoria. But the British kings were also Kings of Hanover and Hanover operated under Salic Law which meant that no woman could succeed to the throne. So on William IV’s death Ernest became King of Hanover and Frederica his queen and eventually their son George became George V of Hanover. If Victoria had not been born then the throne of Great Britain would have gone to Ernest and then to his son. We would have had King Ernest I and then George V, who lived to 1878 – a continuation of the Georgians and no Victorians! Thank you for a fascinating post. I find it difficult to remember the different sons of George III and their progeny (especially taking into account their illegitimate offspring) so this was helpful. I don’t think I’ve ever realised that Ernest became King of Hanover because Salic Law prevented Victoria from succeeding – but my knowledge of history later in the century is shaky. I wonder why Queen Charlotte was so opposed to a marriage between the Duke of Cambridge and Frederica? 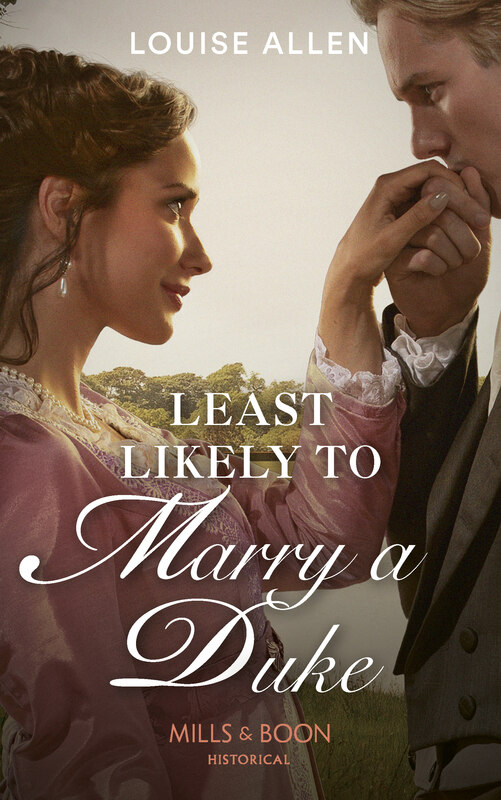 I assume that her opposition didn’t prevent the much later one with his brother Cumberland because by then the Prince Regent rather than George III was making the decisions – and all the brothers needed to find wives and beget heirs quickly. As to your first question, I too find it surprising that such a slang expression should be used in such a newspaper about a lady, let alone about a Princess and Royal Duchess! I’ve always thought it a particularly vulgar term because it reduces the woman to the status of a farm animal, and I associate it with pigs in particular for some reason. I can’t remember if Jane Austen uses it (did she only use it in her letters? ); I think I’ve seen it in Georgette Heyer where (if I remember correctly) it tended to be used by older people. I wondered about Queen Charlotte’s opposition too. First -cousin marriage was quite common amongst the continental royals at that point, so I don’t think it can have been that. I must do some more digging. I wondered if the slang expression perhaps came from using straw paillasses for mattresses during childbirth because they could be burned afterwards? No proof for that, other than a vague recollection of reading about their use somewhere. I’m hoping a more knowledgeable JA reader than I am will know the answer about her use of the expression, but I agree, it really is agricultural! Maybe the paper was being deliberately uncouth. Cumberland was extremely unpopular and rumours about his murder of his servant still swirled about. Plus marrying a woman also rumoured to have murdered her husband and who was excluded from court cannot have helped. Neither merited much respect! I think that’s a very likely explanation – thank you for that.